Booking Rules for Classes from Monday the 6th of June! No more over full classes! 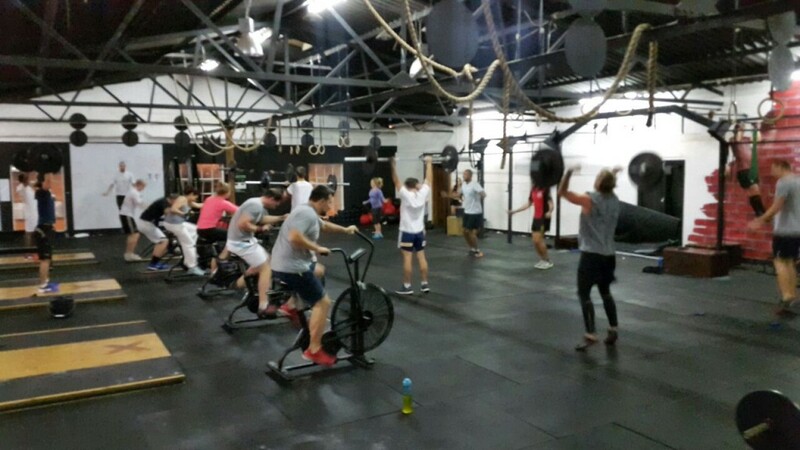 We are stoked with our members commitment to their own consistency and in combination with an ever growing CCF community we have seen some classes being over populated. As mentioned in our June Newsletter, we are now taking action to ensure that you always experience the highest quality in your training while making sure our world class coaching staff can give you enough attention to keep on improving! We love a full house, but also want to make sure your experience is never effected negatively with over populated classes! CCF Gardens: 16 athletes per class. CCF Newlands: 12 athletes per class. If you haven't booked, and you happen to be athlete number 17 (in Gardens & Foreshore) or 13 (in Newlands), we will ask you to wait until the next class starts. More classes added to accommodate you all! CCF Gardens: 12.00 class every day, (used to be Monday, Wednesday, Friday). CCF Foreshore: 19.00 class Monday - Thursday (NOT on Fridays). All classes are bookable in Box Champ up to 30 minutes before the class starts. If a class is not fully booked in BoxChamp 30 minutes before start, then the remaining spots are open for First come, First served drop ins. If you are not present, as in changed and ready by the whiteboard, AT THE START of your booked class, you have automatically forfeited your booked spot and it will be given to the next in line. You will then be asked to wait until the next class. If you haven't booked and the class is full, you will be asked to wait for the next class. If you book a class and do not show, you will be put up on a list and have to do 50 Burpees before the start of your next training session - don't be that guy..
We are obviously doing this for our members and hope that you see this as a positive development. What we suggest is that you use this to always schedule your classes in advance. If you go in each weekend and book your classes for the week, not only have you secured your spot, but you have also booked a healthy date with yourself that will make it easier for you to stay committed to your own health & fitness! We are super stoked that so many of you are always showing up to the classes and we really want to accommodate you all to the best of our abilities. If certain classes are always full, then you can bet that we will make a plan to offer more training opportunities for you all. Keep on training hard and keep on being consistent, someone wise once said that consistency is the key to results and based on all the recent improvements across the board for all our members we are inclined to agree!